Finding placement in relevant media channels is integral to a book’s success. After all, nobody will read or buy a book if they’ve never heard of it! Securing those crucial placements requires pitching. In our How to Pitch series, we hear from some of the publicists who use NetGalley to learn more about their strategies and successes. We’re thrilled to kick off this series with Sarah Miniaci, Senior Account Executive at Smith Publicity. We know that pitching books to important media is just one part of what you do. How do crafting the right message, finding the right person to contact, and other pitching-related projects this fit into your workflow? 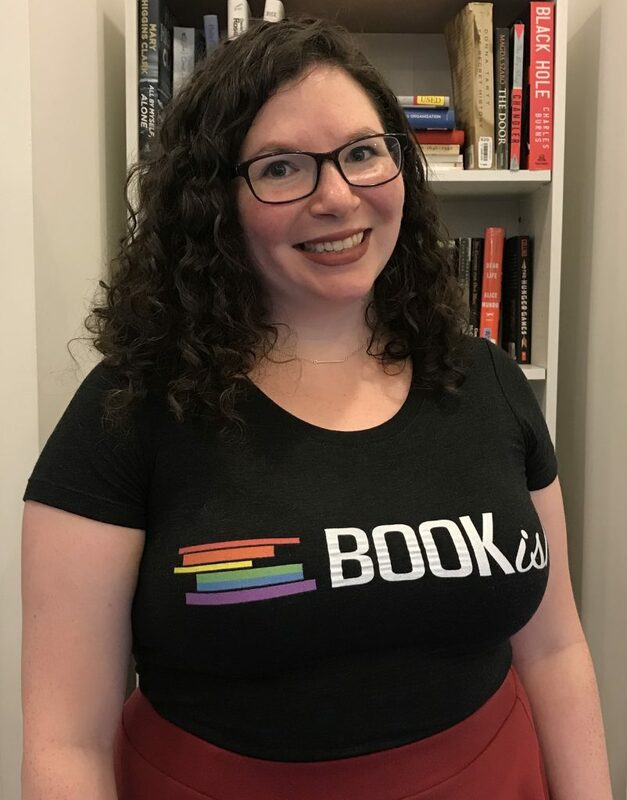 You’re absolutely right that pitching books to important media is just one of the many initiatives a book publicist undertakes – but, it’s an incredibly important one, and it is the effort we spend the most time on by far in any given week. The many factors we take into account in crafting a pitch – and then identifying the right contact to send it to – include but aren’t limited to: the book’s plot, themes, timely topics, geographic tie-in’s, and key messages, the author’s background, talking points in relation to the book, local market hooks, and past media credentials and/or existing media relationships, what’s going on in the news, what’s trending in the entertainment publishing industry (and/or genre landscape) at large, and what changes are afoot in the media (from contact role updates to new outlets opening to other outlets shuttering their doors or changing focus, establishing new sections, etc.). So, it’s a lot of work – a full-time job, truly! – but work that is very much worth it when it results in the right coverage placement for the right book at the right time. How do you determine the right people to pitch? Do you have certain contacts that you send every book to, or is the decision really based on each particular book? As full-time book publicists we have a great benefit when it comes to developing our pitch lists, which is that we spend all day every day immersed in the literary media landscape – and so we are able to develop a strong gauge on which books are suitable for (and appealing to) which contacts. That said, there is no single contact to whom I would send each and every book. A self-published romance novel is not going to be relevant to the same media contacts to whom we pitch high-profile business non-fiction. For that matter, there can be great discrepancies even within the same genre landscape – two separate thrillers novels, both with October 2018 publication dates, can and will usually have very different publicity plans. To establish our pitch targets, we’re really looking in-depth at the book and author, and from there determining how and who we’re going to present them to as a good candidate for coverage. Does the book have a complex female protagonist or is the narrator a young African-American man? Is it set in modern-day New York City or rural Missouri at the turn of the century? Is the author’s voice gritty and hyper-realistic or breezy and family-friendly? Every pitch list we create for every book we work on is painstakingly crafted and highly personalized, taking all of these factors and more into account. What strategies do you use to make your pitch emails stand out? Every publicist has their own quirks and executes their pitching a little differently, but the majority of pitching these days is conducted over email – at least as a first point of contact, and for print and online media almost exclusively. Some contacts for broadcast outlets, like radio and television, still like a good phone pitch. As professional publicists, it’s our job to know who likes to be pitched in what ways and act accordingly. Some contacts also like being pitched over social media – but, I will warn, most do not, and certainly not over Facebook (it’s a very personal platform and faux pas to get in touch this way unless otherwise explicitly stated!). In terms of standing out with your pitch, it’s my sincere belief that if you’ve taken the time to identify the right contact to pitch, you won’t find it hard to stand out and get a response. You need to be confident that this kind of book from this kind of author is precisely the kind of thing that this contact has a demonstrated interest and solid background of editorial coverage in. It’s really important to be cognizant of the fact that the media and reviewers you are pitching don’t actually want to say “no” to the pitches they’re receiving. They love nothing better than a good pitch they can actually do something with. The more thoughtful, targeted, and helpful you can be to the media, the much better your chances of success become. Remember: media contacts and reviewers have jobs to do, too – be of value and you’ll find a lot of open doors and great relationships await! What resources do you use to sharpen your skills for crafting just the right message in your pitch? It may sound obvious, but the very best way to sharpen one’s pitching skills is, in my view, by reading and consuming media! To keep up with the magazine landscape, I personally love the Texture app. Twitter is a great way to stay engaged with outlets and media contacts and get a feel for what they’re covering. With newspapers, Twitter can also be helpful (you can follow not only publications but in many cases specific sections, too, such as @nytimesbooks, @globebooks, @latimesbooks, and the list goes on). I also like subscribing to the weekend editions of a couple of print newspapers. Not only is it a nice way to spend a Sunday morning with a little breakfast and pot of coffee, it’s also valuable in gaining a genuine understanding of the media coverage landscape for books. I’m a public radio junkie (as a Canadian, I can’t get enough of the CBC, but I love and often live-stream NPR and the BBC at my desk, too!) and love following #Bookstagram influencers and other media contacts I interact with a lot on Instagram. It really all goes back to the idea of getting to know the people and outlets you’re pitching. Once you get that, everything else really does fall into place. What do you do if you don’t get a response? In this day and age, we all have over-stuffed inboxes and it is completely understandable that not every email you send out is going to receive – or even warrant – an immediate response. That said, if I’m reaching out to a contact with a book that I genuinely believe is going to be a perfect fit for them, I don’t hesitate to follow up about a week after my initial pitch send – it’s always possible that they were on vacation, on deadline, or just otherwise distracted when the first one came through, but interested and grateful for the follow-up! Otherwise, if you’ve done your research and are confident that this contact should, in fact, be receiving your pitch (I keep stressing this because it really is the most important part), keep following up with new angles, story ideas, subject lines. Media contacts often get back to us weeks, months, and sometimes even years after the initial pitch was sent! Give us your top tip for publicists! Do your homework, read/listen to/watch media voraciously, and always remember: the person you’re pitching doesn’t want to have to say no, so make it easy for them to say yes! NetGalley Insights tip: Authors, whether or not they are working with publicists, should also be thinking about these strategies. Authors can help their publicist, or use these strategies to pitch their own titles. Authors should be thinking about how to tie their books to media outlets, influencers, regional opportunities, and more. Authors should be consuming relevant media to learn more about how titles are being positioned, and who is talking about what. 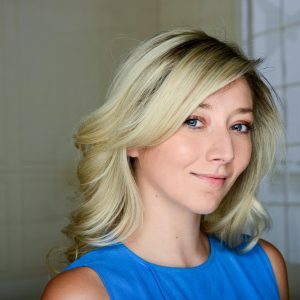 Sarah Miniaci is a Senior Account Executive and Business Development Associate at Smith Publicity – one of the leading book publicity agencies in the world, with offices in Toronto and New Jersey. 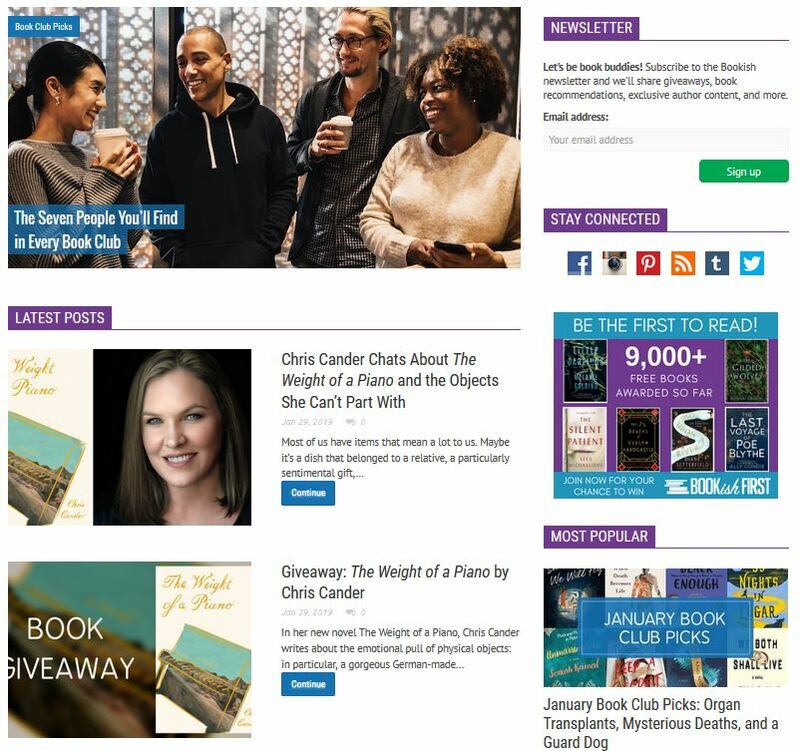 Founded in 1997, Smith Publicity has worked with more than 3,000 authors and publishers, from New York Times bestsellers to first time, self-published authors. To connect with Sarah or another publicist at Smith Publicity, contact them at www.SmithPublicity.com or find them on social media @SmithPublicity on Twitter, Facebook, Instagram, and LinkedIn.